Unfortunately, this masterpiece hardly gets the attention it deserves. Aren’t we all guilty of neglecting our feet even after a long hike a Saturday morning run? We often forget that our feet need pampering for them to remain soft and flexible. Can you imagine what would happen if your feet gave up on you one morning just because it is too stiff, yet a foot massage could solve the issue in the first place? We often underestimate the power of our feet. We walk, jog, and run on them; we also need our feet to drive and cycle. We forget that healthy feet affect our general wellbeing. Just like you, I never really paid any attention to what I was putting my feet through and how much I didn’t care about the state of affairs down there. As long as I could trot my feet in heels and walk majestically, all was great. Well, that walk slowed the day I got too tired to walk around the house in flip flops. I wasn’t feeling sick but, well, my feet were sick and tired of my habits. Thanks to the internet, I learned a trick – soak feet in warm water. It worked – well, I felt so much better then I realized the need for a device that can offer more than warming – the real deal; a foot spa to not only warm but to massage and to reach all the right points. The best part is that the foot spa massager works even as you read that book you’ve been too tired to read, you can also take a nap, or watch your favorite TV show. What exactly is a foot spa machine? Well, this is a piece of equipment that uses heat and water to relieve stress from different parts of your body. It is sizable and works well to reduce stress as well ease the chronic and acute pain. The spa’s massaging motion and the heat are soothing. Something we all fail to notice is that the pressure that builds up in our feet gets to all other body parts. Whether you stand or walk a lot during the day, your entire body will feel tired by the end of the day. For you to be in top shape the next day, try a foot massage. It stimulates the solar plexus reflexes and this aids in keeping you grounded while relieving stress. When you are tired or even anxious, you will feel off-balance. Though we often assume this symptom or resort to other alternative solutions, we forget about massages and simple foot spas. The spa promotes circulation and makes you regain your balance. Fatigue blocks your pathways and nerve endings and energy flow gets interrupted. Your foot spa will target your Qi system restoring balance and a feeling of wellbeing. Stress is the leading cause of disease. This means that if you tackle stress, you also get to manage some conditions. By relieving muscle tension and whole body stress, you have peace of mind, and this leads to a healthier body. A foot spa massage improves blood circulation, and this means that there is an effective transport of oxygen and nutrients to cells. At the same time, there is effective excretion of waste products and toxins accumulated in the body. Free circulation makes for a healthy body and optimal cell growth. This also reduces the incidence of disease. Fortunately, I came across Kendal’s foot spa, and my feet have never been happier. 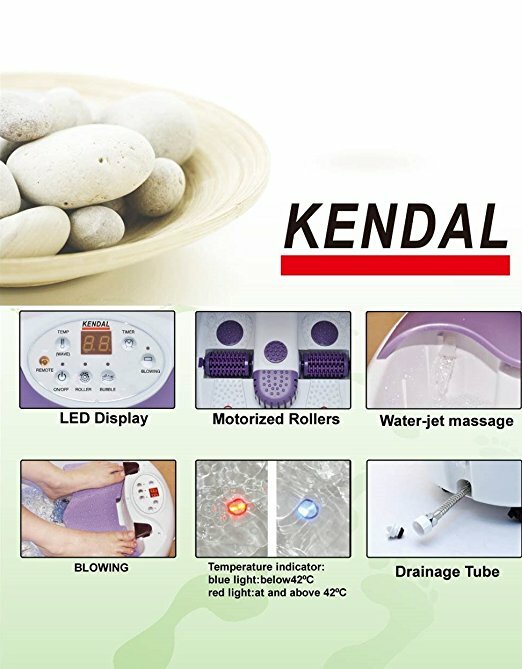 The Kendal All In One Foot Spa Bath Massager is what we need to improve blood circulation throughout the body, to enhance metabolism, to smoothen the meridian system (Qi system﻿) and to fight fatigue. If you ever feel rejuvenated after a hot shower or a bath, imagine how much better you’ll feel when you have the best-heated foot spa. As the name suggests, it has many functions. This foot spa comes with a motorized rolling massage; an oxygen bubbles massage, heating therapy, water fall and water wave massage, a time control, and a digital temperature control. It also comes with a remote control and an LCD display which will leave your feet nothing short of happy. As one of the best foot spas, the digital temperature control makes it possible for you to adjust the temperature from 20 to 48 degrees Celsius. The water fall element sprays water flow simulating surfing effects which massage your feet and calves. The two water jets surfing water cycle with multiple massage air bubbles target and simulate the foot reflex zones. In effect, this leads to smoothening of the Qi system, improved metabolism, better blood circulation, and relief from fatigue. You know how it feels when you get home from an incredulously long day at work and you wonder if you can shift the fatigue from your body onto someone else's, just for a few minutes? Well, this is the feeling you’ll get after a few minutes in this foot spa. What makes this the best foot spa with heat? The high-quality PTC heating semiconductor – it makes for fast heating while maintaining an overall constant temperature. It also has a secure multi-insulation protection, and this makes it safe and secure. You won’t have to worry about overheating. The material for construction is high-temperature resistant and also aging resistant. For higher efficiency, this foot spa features pre-set programs for heat, bubbles, the motorized roller, the waterfall and the wave. This preset is in the form of a digital timer with temperature indicators. The light is blue when temperatures are below 42 degrees Celsius and red when above 42 degrees Celsius. Thanks to the built-in blowing hot air function, your feet will dry fast after use. This foot spa also features a self-drainage system making it efficient. Who can use this foot spa? Well, this UL-listed foot spa comfortably fits every foot up to Men’s size 15. It is also elegant and beautiful meaning that it is ideal for use for personal use or as a gift. It is lightweight and weighs 12 lbs. It enhances blood circulation. It warms and massages your feet increasing blood flow leading to a reenergized and a rejuvenated body. It relieves stress. Have you noticed that you always feel lighter and less stressed after a hot shower, bath or a massage? Well, with a foot spa, you will feel more relaxed. 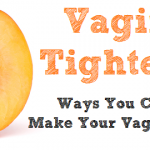 It gets rid of all muscular stress and tension making you feel less stressed. It reduces arthritic pain. By relaxing joints and muscles, the pain associated with arthritis goes down. In the case of muscle cramps or strain, you’ll notice that that pain reduces after a foot massage in one of the best foot spas. The waterfall works only when the heater is on. Have you always felt relaxed after taking a hot shower and immensely relieved after a foot massage (even the simplest home pedicure or a hot water soak)? Well, you aren’t alone, and while you may not have noticed, the foot treatment helped you relax because it increases circulation, aids in the excretion of wastes and toxins from your body, and relaxes muscles hence the rejuvenating feeling after a few minutes of hot water treatment and massage. 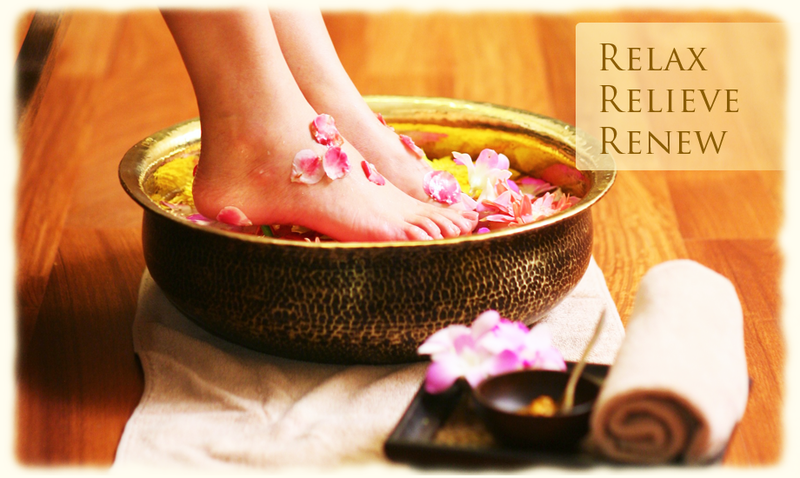 If that simple exercise made you feel that good, imagine how much better you will feel if you have the best foot spa. Even if the device may seem a little expensive at first glance, you will save so much more compared to visiting the spa. 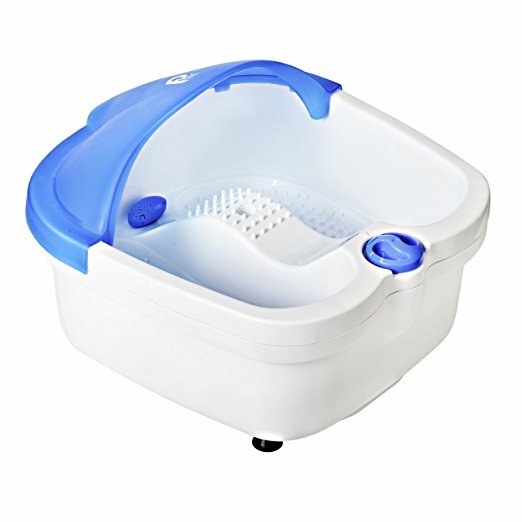 At the same time, a home foot spa offers you a high level of convenience since you can use it at any time you wish too. While saving time and money are two important benefits, the best foot bath device will increase circulation, relax tight muscles, and relax your feet. These benefits are the result of the fast water heating, up to 115 degrees Fahrenheit and maintenance of that temperature eliminating the need to add hot water. Many foot bath reviews praise this as the best at-home spa because of its exfoliation abilities. It features a removable pumice stone to exfoliate the dry and rough skin on your heels and foot pads. For personalized massage, this foot bath has two rotating jets with two adjustable speeds. 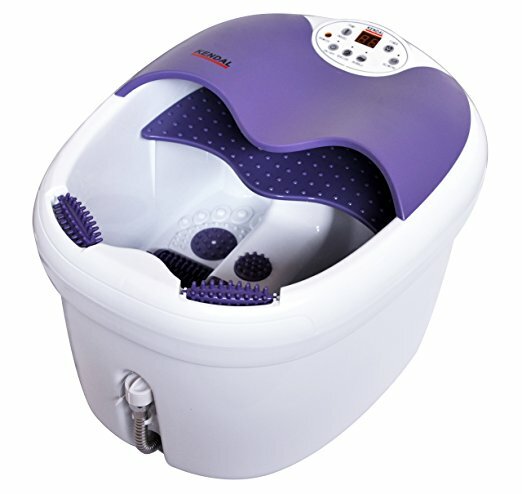 It also has invigorating water jets plus a soothing built-in heating for the ultimate foot massage experience. The two powerful hydro jets give you the most rejuvenating stream of water which instantly increases circulation, relaxes your tired feet and relaxes tight muscles. The two rolling nodes in this foot spa offers the needed kneading massage to your arches while the spacious ‘tub’ comes with a cover to prevent splashing. Who wouldn’t want a home massager after a long day spent between pitching proposals and answering questions on your feet? The only downside of this foot massager/ exfoliator is that you cannot use bath salts with it because the salts may cause clogging. Other than that, this foot massager works perfectly for all foot sizes up to size 14. In this foot bath reviews, we place this foot spa on the list of the market’s best-heated foot spas. As the name suggests, you cannot experience one benefit with this foot spa. It is multifunctional with a heated bath with vibrations, rollers, aromatherapy, and bubble massage. These functions run well thanks to the digital temperature control and the LCD display. It also includes three pedicure attachments. 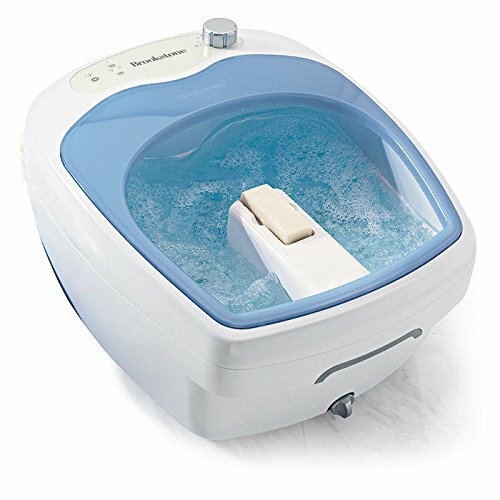 The oxygenating bubble action – this Ivation Multifunction Foot Spa has multiple jets which create thousands of calming bubbles. These bubbles relieve pain and pressure from your feet. The other beautiful feature of this foot spa’s bubbling action is that you may add essential oils for the perfect aromatherapeutic effects. The home spa’s intense vibrating massage enhances circulation and is, therefore, the perfect remedy for your worn and weary feet. You may activate the motorized rollers to target tense and overly tired soles. This foot bath heats up to 122 degrees Fahrenheit which means that you will experience the ultimate healing spa experience using this device. Heat alleviates inflammation and pain. The sophistication on this foot bath is dependable. Some of the features include a timer and a multifunction selection on the LED display. You also have the free brush and the acupressure pedicure attachments. These features make this the best at home foot spa to relieve worn out and sore feet. It's the ideal choice of a home spa for achy toes, heels, ankle, and arches. Therefore, if you are an athlete or if you walk around a lot, you need this foot bath. If you have been looking for a solution to make your feet super happy whenever you feel stressed, and your feet feel like giving up, then, you must have this foot bath massager. Carepeutic cares about your feet hence their incorporation of ozone benefits into their hyperthermia healing therapy – this is the therapeutic process that relieves pain from sore feet while refreshing the meridians (Qi system) with the help of heated water. 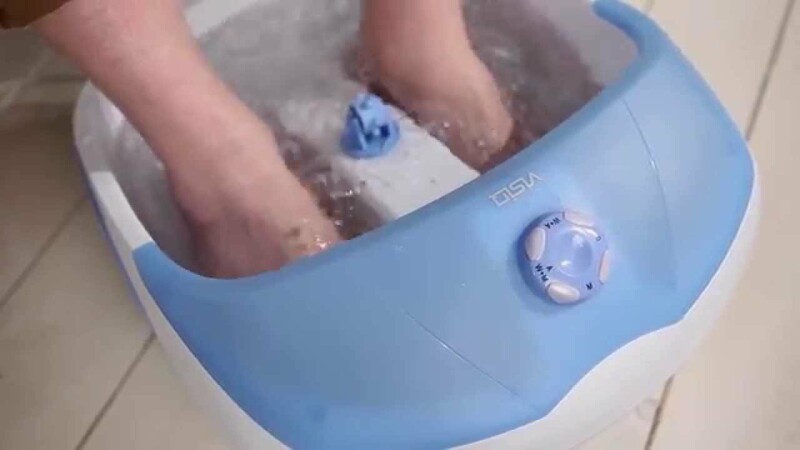 The heated water in this 20-pound Carepeutic Ozone Waterfall Foot and Leg Spa Bath Massager is calf-deep offering excellent relieving and relaxing effects. This massager increases circulation and boosts oxygen’s availability to cells thanks to the combined action of heated water surfing and the rolling massager, and the effects of ozone therapy. Perhaps you are wondering what ozone therapy is – ozone therapy so an alternative medical treatment procedure which increases the amount of oxygen circulating in the body. The effectiveness of this alternative medicine treatment procedure makes this the best home foot spa. 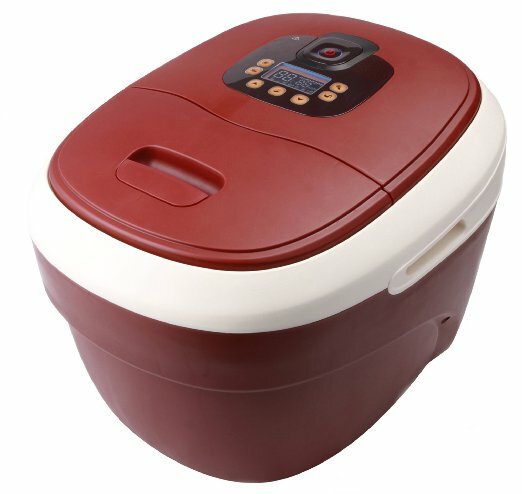 Besides ozone and the heated water, this home foot spa has strong air bubble massager with waterfall or a water jet surfing system (working independently or simultaneously) which comes attached with a detachable herbal bag container and one extra mineral stone container. These features offer high relaxation capabilities making it the best home foot spa. This foot massager also has a strong waterfall plus two powerful water jets which circulate water with infrared heat, as well as moist hot air bubbles which stimulate the foot’s reflex zones. The four built-in motorized massage rollers, activation of the water jet surfing leads to hot steam rolling massage on the soles melting away stress in the feet and calf muscles. This creates a home hot tub spa. The intelligent thermal control for automatic water temperature balancing makes this the best at home foot spa. This control mechanism goes on or off automatically when the water is too hot, or the temperatures run too low. There also is a hidden and a motorized smart water drainage system that comes with double insulation. This system also features an automatic lock and unlock feature for draining it. Even though we don’t all have similar opinions about everything happening around us, we bet that we can agree on one thing – spas are freaking expensive, and you cannot afford to give your feet that spa treatment as often as you’d like to, right? What if we told you that you can get the spa treatment at your home every day or whenever you need to relax and soothe your sore and tired feet? Though the amount payable initially is high, the convenience and the amount of time you’ll have this foot bath massager will be valuable. The P﻿IBBS Foot Bath Massager complements all other pedicure spas with its vibrating massage action. This foot massager works well for commercial establishments and homes; you can unwind and relax comfortably whenever. It maintains a warm water temperature offering excellent comfort. The detachable splash shield prevents spills and splashes, and you don’t have to worry about cleaning the floor after a relaxing massage. So, if you like to unwind with a glass of wine, tea, coffee, a book in hand, or watching a favorite TV show, you can do any of that with this massager which will make you very rejuvenated. This massager measures 14 inches wide, 15 inches long, and 6.5 inches deep making it ideal for most feet sizes. Home foot spa reviews place this foot bath massager in the list of the best foot spas on the market. This is a common feature that stands out in most foot bath reviews. What is the level or the intensity of vibrations expected from that foot spa machine? 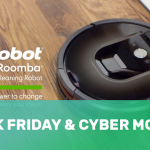 Will the vibrations meet your specific needs and demands? Note that the best foot spa machine should relax your tight muscles. How efficient is the heating element? Will it keep the water warm long enough and will soaking feel comfortable after heating? How fast does it heat the water? Noisy foot spa machines are uncomfortable and will get on your nerves real fast. Is the noise from the foot spa machine tolerable? 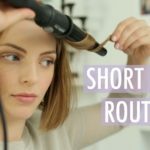 Can you find a quieter machine? The best place to know if the machine is quiet or not is to check out the product’s online user reviews. Some of the best foot spa machines for use at home come with excellent features that make them more appealing and beneficial. These features may include a pumice stone, aromatherapy dispenser, pedicure attachments, brushes, or jets for extra bubbles. Look for a foot spa with a multi-functional attachment. Some medical conditions get better when you use a foot spa machine. In these cases, even your doctor will recommend its use. However, in other cases, you shouldn’t use it. Such cases include diabetes or pregnancy. Precautions protect you from unexpected issues that may result from the use of the machine. What will prevent the machine from overheating? Does it have a way of signaling you when it gets too hot? How is the insulation system like? How can you control the device? Does the foot spa come with foot controls? If you have big feet, then you’ll need a foot massager that will fit your feet. Regarding size, you may also want to consider where the heated water, the waterfall action, and the bubbles will reach. The mid-calf level is preferable. 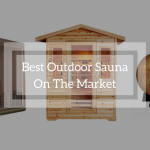 Can you afford the heated home spa machine? If it is expensive, is the value worth it? Ensure that whatever you but gets you actual value. The features and the reviews of other users will guide you in determining the best foot spa machine. Just like anything else you purchase, you have to determine if you really need it. When it comes to a foot spa or a foot massage, you’ll note that it is relatively expensive and unless you can afford it or need it for medical reasons, you may not buy it at first. However, we believe that you need one because your feet need so much more TLC than you currently afford them. Your heels and the soles of your feet carry you around even when you don’t walk or workout too much. Therefore, with time, a foot spa becomes a convenient and a valuable solution to the sores and the tense feet and calf muscles. But, even with our foot bath reviews of the best five-foot bath massagers, which is the best foot spa? Well, we’ll go with the​ Carepeutic Ozone Waterfall Foot and Leg Spa Bath Massager which uses effective ozone therapy boosting oxygen circulation rejuvenating the whole body. It is safe, and the massaging action works for feet and the calves. It is, therefore, the best foot spa massager to soothe sore feet, and this leads to relaxation of the whole body. Hello there, being a renown podiatrist, I want to let you know I thoroughly enjoyed reading this informative article. I’m an avid user of some of above-mentioned product and I must say it makes me feel special. I usually get an extremely relaxing experience. As I comment here, I’m dying to have another session. However, I feel that the noise produced by some of these products may be irritating. Some information on any recommendation and restrictions considering our varied preferences would also be good. 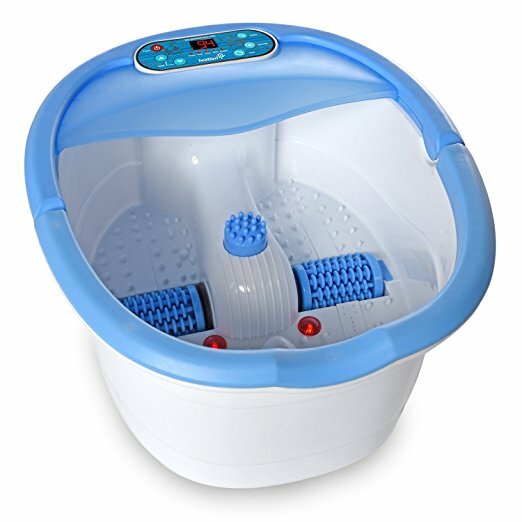 PIBBS Foot Bath Massager is the Best Foot Spa Machine for Happy Feet and whenever you need to relax and soothe your sore and tired feet this foot bath massager is the best for spa machine in comparison to others….!!! I like this foot bath massager..!! Pressure-node rollers deeply massage your tired arches and soles while bubbles rejuvenate your overworked feet with gentle massage. The foot bath has an easy to use integrated carry handle so you can conveniently transport filled Footbath!